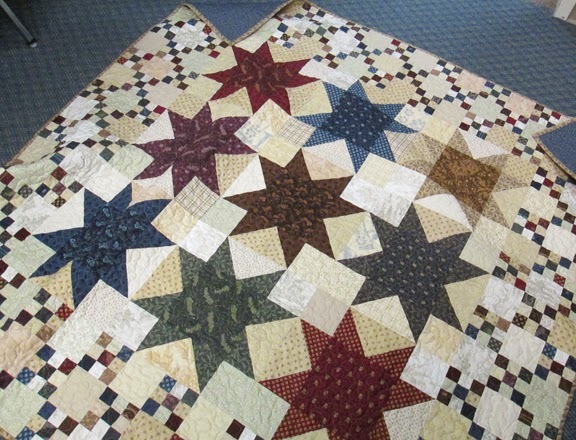 Jeanne used a Minnick & Simpson pattern, an exercise in scale, to make a quilt from a Layer Cake of my Civil War Jubilee reproduction fabric from Moda. The 10" layer cake squares went into the stars. She dug into her scrapbag for the light prints and some of the darks. 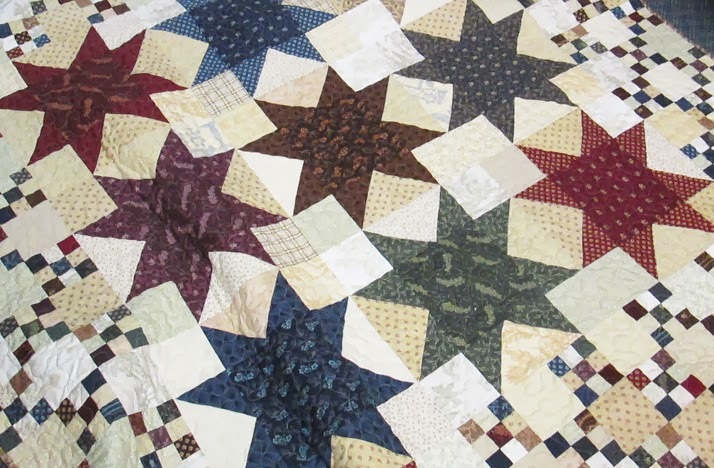 Laurie and Polly say it is one of their first patterns. But I doubt it will ever go out of style. That looks beautiful in your fabrics. 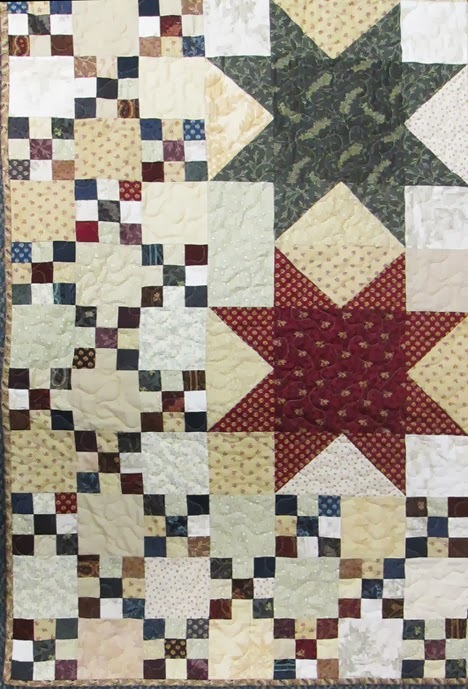 I am hoping to do some pieced quilt this year. Wow! It was so fun to see this pattern done in other colors! Gorgeous! Wow! I just finished this pattern... you make me want to make another! It's beautiful.